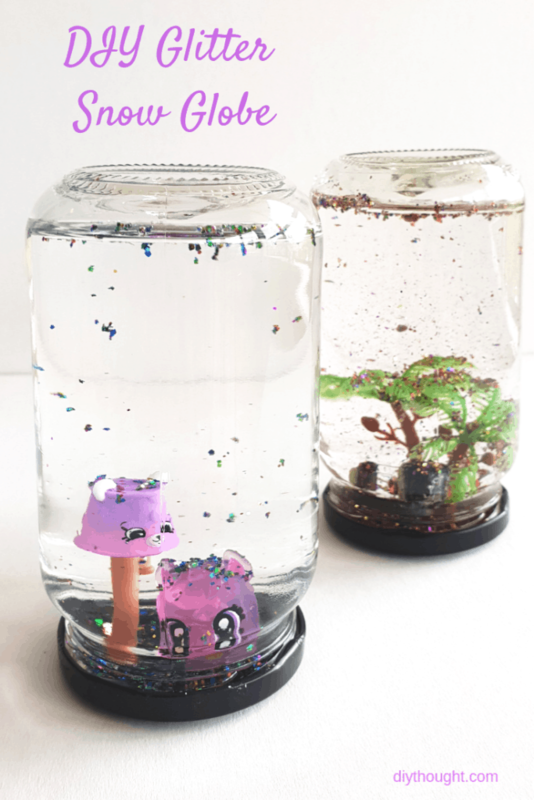 Making a DIY glitter snow globe is super simple craft activity that the kids will love! All that is needed is a jar, glitter, water, glue and some plastic toys. In a matter of minutes you will have a cool glitter snow globe to play with! Miss 4 and Miss 7 were very proud of their finished snow globes, so much so that Miss 7’s got taken to school to show her teacher. They loved searching their rooms for little toys that would fit in their jars and adding in the glitter. I’m not joking when I say we had squeals of joy when we first put on the lid and gave them a shake. 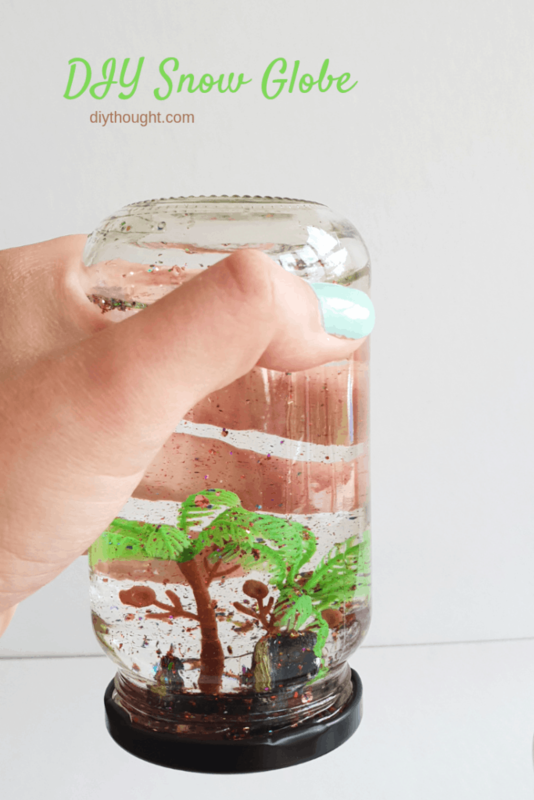 To make your own snow globe take the lid off your jar. Have a look at your plastic toys and make sure they can fit on the jar lid when the jar is screwed back on. Once you have the layout right glue the toys in place. Younger children will need help with this. Leave to dry. 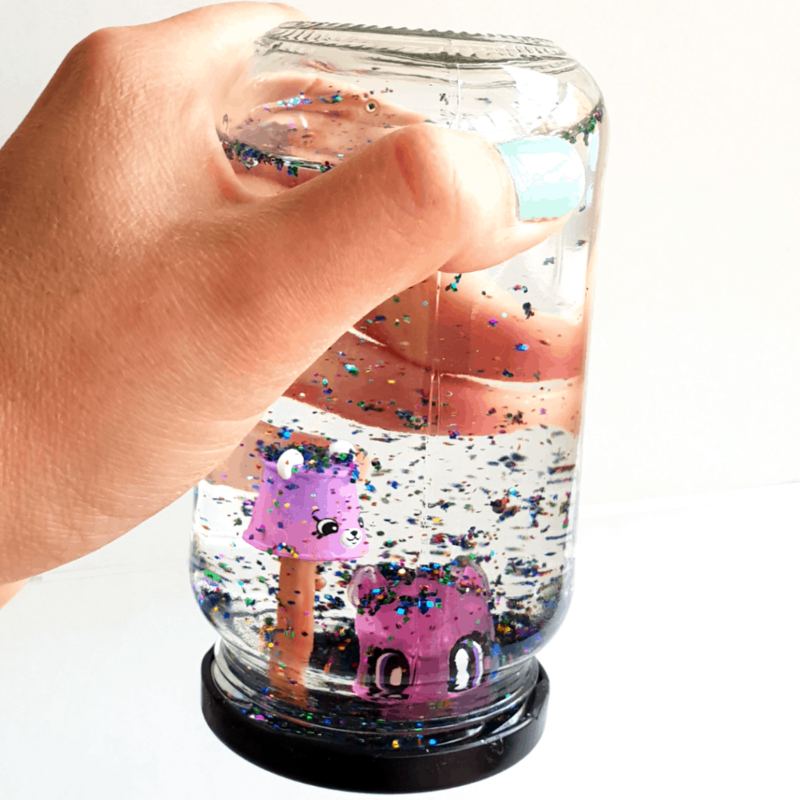 Add glitter to your jar then fill up with water. Screw on the lid tightly. If you are concerned about the lid coming off the jar then this can be glued on. Shake, shake, shake and watch the glitter snow fall!